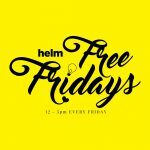 HELM - Shared Office & Coworking | Why it’s important to reflect and move forward. Why it’s important to reflect and move forward. Your brand and business will benefit if you make sure you reflect on what’s working and move away from anything that might be damaging. Learn from the bad things but don’t let them get you down, talk to the right people for feedback and use this to move forward. Make sure you take the time to celebrate when you reach certain stages in your business and feel proud of your achievements. I don’t do this enough, I’m always powering towards the next thing on my list, but when I do take time to sit back and look at what I’ve achieved it really reignites the spark in me. – What didn’t go so well and what can I learn from this? – What am I working toward? – Is what I’m doing now going to get me where I want to be? Now act on what you’ve learnt. Without action you’ll be treading water and nothing comes from being in same position for too long. Reflect – Act – Move Forward.